(leading to ExpertRating Online Human Resource Management Certification). The days of making critical Human Resource decisions by instinct or coin toss are long gone. If you are planning a career in Human Resources or management, you cannot afford to miss this online Human Resources Management course! Give yourself an employment advantage by developing Managerial skills that are consistently in high demand. This Online Human Resource Management Course will teach you powerful quantitative methods that will have you making better, more informed, and more effective Human Resource related management decisions. Suitable for either a small business owner, an entrepreneur or a job seeker, this course is sure to increase Human resource management awareness. This online Human Resource Management course offers the flexibility of learning from home while while being led by an experienced Human Resource Management instructor. This course includes a knowledgeable and caring instructor who will guide you through your lessons, facilitate discussions, and answer your questions. The instructor for this course will be Ann Nevers. Online Human Resource Management Course requirements: For taking this instructor led online Online Human Resource Management Course you need Proficiency with basic Internet, Internet access, e-mail, and the Microsoft Internet Explorer or Mozilla Firefox Web browser. "I am new to the Human Resources field. I enjoyed the course very much. I have used the information every day since I started the course. Thanks for the insight." "I really enjoyed this class. The information that I gain in this course will be beneficial for me in my job. My husband and I recently started a small business and the information given in this class was priceless." "Very enlightening course. Every HR person should take this class at some point." "An excellent course! Thank you." "I enjoyed this class very much. It met my immediate need of an introduction to the human resourse field. I am seriously considering making a career change. I may have an opportunity in March to transition into the human resource field. I would certainly recommend this course to others." "I felt the course content and instructor were wonderful!" "I really enjoyed this course. Being a busy working person, like so many, this course had the right length and structure. I found the material easy to read and was able to reflect upon my current and past work situations. I also feel, just for myself, this course gave me confidence in my opinion of the role of the human resource department. This is a great feeling. Thank you." "I thoroughly enjoyed taking this course. 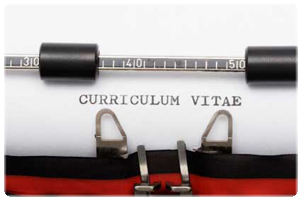 I do not work in the Human Resource department, but I have always been interested in that field. There was a lot of interesting facts and helpful information that I can use." "In my role as a Sales Manager I deal with the HR Function every day. The course really opened my eyes as to the Function. I gained some newfound skills from this course." "This is my first experience with an online course and it has been a great learning tool. Highly recommend this course to others in the Human Resources field that are intimidated by classroom participation." "I am so grateful for the online course. This course has enabled me to not only gain more knowledge while in my present position- but, it will also be a plus on my resume. I have learned so much and would highly recommend it. Thank you Ms. Nevers for your passion and love of Human Resources." "Thank you for all the feedback. because of the interesting content in this course, I hope to pursue a career in this area." ExpertRating is one of the world's only ISO 9001:2015 Certified companies (from TUV America) offering an Online Course (leading to ExpertRating Skills Certification). When you choose the ExpertRating Online Human Resource Management Course you can be sure that you are buying a premium International certification that is recognized by hundreds of employers and Government bodies in the US and other countries. With ExpertRating you get certified quickly online and you are equipped with a store house of information through the in-depth Online Human Resource Management Courseware which has been developed by experienced Human Resource Managers. The ExpertRating Human Resource Management Certification is by far the best value for money instructor led Human Resource Management Program at $129.99. How much does the Human Resource Management Certification cost and what does it include? You can buy this Online Human Resource Management Course (leading to Human Resource Management certification) at a special offer price of only $129.99 which includes the in-depth Online Human Resource Management Courseware and exam fee. This is the best value for money Human Resource Management Program available till date. You get the following services within the USD $129.99 fee. In-depth Online Human Resource Management Courseware including scenarios and case studies. World wide airmail delivery of the hard copy Human Resource Management Certificate. The Human Resource Management certificate can be used to prove your certified status and does not mention the words "online". The process of getting yourself certified is very simple. 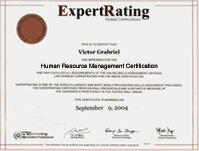 All you have to do is buy the ExpertRating Online Human Resource Management Course for $129.99. Log in to the instructor led course using your password. Go through the Online Human Resource Management Courseware (which would take you 6 weeks) and complete the final Human Resource Management Certification exam at your convenience. You can complete the exam within 2 months of buying the Human Resource Management Certification. The result of the exam appears as soon as it is completed, and your Human Resource Management certificate is mailed immediately. Chapter assignments to help you practically use the Human Resource Management skills that you will learn during the Online Human Resource Management Course. The final exam is fully based upon the Online Human Resource Management Courseware that is provided along with the Human Resource Management Certification. If you have gone through the courseware properly you should not have a problem clearing the exam. The exam consists of multiple choice questions from all chapters of the Online Human Resource Management Courseware. With Careers in Human Resource Management booming, this is the time to become a certified Human Resource Management professional. According to the Bureau of Labor Statistics, U.S. Department of Labor, Occupational Outlook Handbook Statistics, there will be 1,015,000 job opportunities for the Human Resource Professionals by the year 2016. Human resources , analysts and specialists are employed in virtually every industry. Human Resource Managers are currently working in various industries including public agencies, corporations, educational institutions and charitable organizations. If you're interested in a career in Human Resource Management, now is an excellent time to jump in. Since there are a lot of job seekers for posts in Human Resource management , who are trying to advance their career to senior HR Analyst positions, extra credentials count. Enhancing your resume with an ExpertRating Online Human Resource Management Certification can definitely give you an edge above the rest. After passing your ExpertRating test, you will get an online transcript as well as a hard copy certificate mailed to you as proof of your Human Resource Management skills. HR Managers study the overall business and information needs of an organization, in order to develop solutions to business and related technology problems. In different contexts, HR managers may be known as human resources consultants, human resources development specialists, human resources coordinators, job analysts, Employee benefits managers and Labor relations managers consultants. This is your best chance to get yourself certified as a Human Resource Manager from one of the leaders in online skill testing and certification. Do you ever wonder why the field of human resources is the way it is? How it has evolved? The first lesson will travel through history to explore the roots of human resources. You'll see how the modern human resource function has evolved from trade guilds, through the industrial revolution, to modern times. What exactly does the human resource professional do on the job? Lesson 2 will take a look at the variety of vital activities that are frequently included in the human resources function. This variety can include everything from recruiting, hiring, and retaining employees, to labor management relations and workplace safety and training. How does someone go about finding and hiring a new employee? The initial preparation for hiring is often done in the quiet of an office, which may make it seem like new employees just magically appear. Today’s lesson will explore what goes on in that quiet office to ensure that the employee who appears is the right one for the job. This lesson will focus on preparing advertisements and application forms, how to review and screen applications, conduct interviews, and verify information to ensure that it's correct. 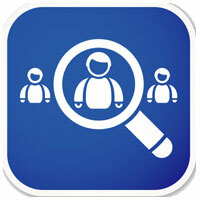 Interviews and background checks are key components of the hiring process. The interview is your chance to evaluate the job applicant in person to see how well his or her skills match your job requirements. So today’s lesson will look at each part of the interview—from how to set it up and what approach to take to rating the person after the interview. How do you get someone to apply for a job? Solid recruiting practices using both traditional and nontraditional techniques will ensure that you have a large pool of applicants from which to pick and choose. Traditionally, many companies simply run a classified job ad when they need a new employee, but this lesson will explore other alternatives that may be equally effective in recruiting. What motivates a quality employee to stay on the job? What can you do to keep employees happy and working? This lesson will analyze job satisfaction and the factors that keep employees happy. Then it will look at some unique programs that provide incentives for employees to stay on the job a long time. What rights do employees have? What are moral rights and how can the company protect them? What is the difference between a moral and a legal right? This lesson explores both moral and legal rights and how they can be used to benefit employees. It will also take a look at what to do if an employee complains that either moral or legal rights are not being protected. What legal responsibilities does a company owe its employees? Today's lesson provides an overview of the many laws that impact the workplace. This lesson will examine laws that govern union-management interactions, prohibit discrimination, set wage and hour requirements, and set benefit and safety standards. It will also point out some Internet resources that will help you easily stay up to date as these laws change. Do you have a policy manual at work? What policies are included in the manual? How does anyone ever decide what policies to include? This lesson will take a look at policy manuals—what they should include, what policies are most common, and what you should do to ensure that your policies comply with the law. How can workplace communication be effective? What should you do to ensure that communication is taking place on a regular basis? Today’s lesson will focus on the need for effective communication programs at work and how to implement them. You'll find out how to keep communication running smoothly throughout the organization. What should a strong employee benefit program include? What is involved in putting a benefit package together? Benefits are a great way to attract and keep employees. So today’s lesson will take a look at such common employment benefits as insurance and retirement. It will cover how to put together a benefit package, and options for including free benefits that are attractive to employees. Have you ever wondered what makes a human resource professional successful? The final lesson will take a look at eight habits that successful professionals adopt. You'll leave with the insight and ability to achieve excellence at work!